Monterey Car Week 2018 was another big year, car shows, auctions, and more interesting cars than you can begin to absorb. 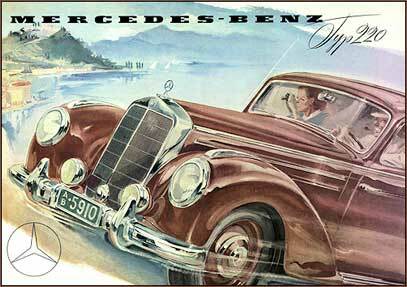 We’ve listed just about every Mercedes-Benz offered at the various auctions on the Peninsula below. When looking over the prices, and how they might vary from model to model, remember, it’s the details that makes the difference between prices. On older cars, quality of restoration or degree of originality, with newer cars, the odometer is often the largest deciding factor, then you’ve got the regular ‘used cars’… cars that aren’t really collectibles or special, but still show up at collector car auctions. High 300 SL sale of the week was achieved by Gooding and Company with this 1963 Roadster that sold for $2,530,000. 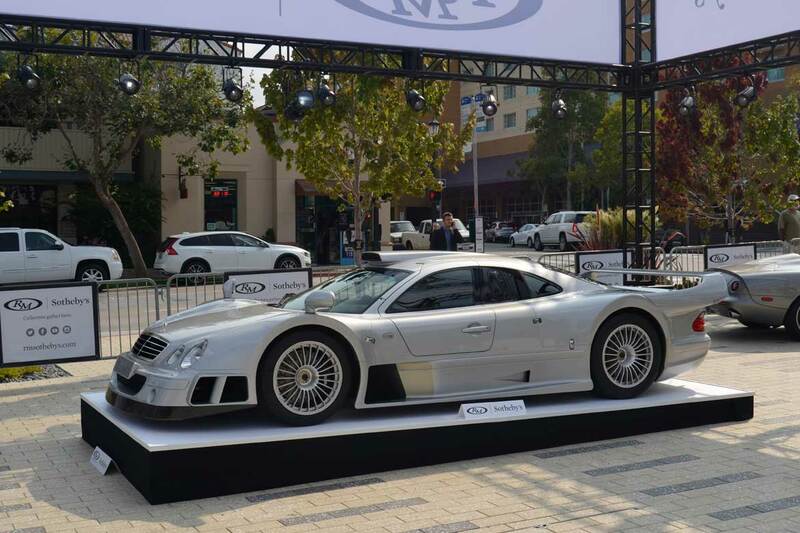 The highest Mercedes-Benz sale of the week wasn’t a Pre-War masterpiece, but a much more modern Mercedes CLK GTR, one of only a few road going versions built. RM Sotheby’s sold that one for $4,515,000. 300 SL numbers seemed strong, whether the car was a complete restoration, preservation class example or garage find. 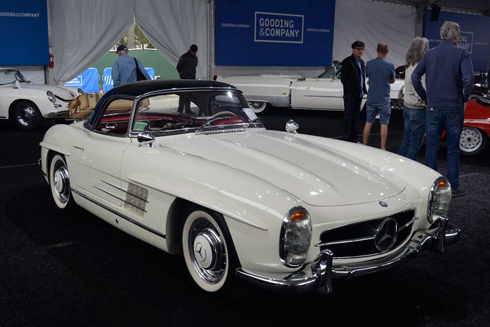 Gooding and Co. sold a gorgeous 300 SL roadster, white with black hard top, for $2,530,000, the high 300 SL sale of the week. Other SLs had a tougher time. The health of the Pagoda SL market can, in part, be judged by the number of cars offered, just 10 this year, about half the number offered on the past few years. People don’t send their cars to auction if they don’t think they’re going to get good money for them.Just a few years ago you could sell just about any, running, driving 280 SL for $60,000. Those days are long gone. Real money on typical ‘driver quality’ 280 SLs that need the obligatory $5,000 – $10,000 worth of work is $50,000, on a good day… less for 230 and 250 SLs. 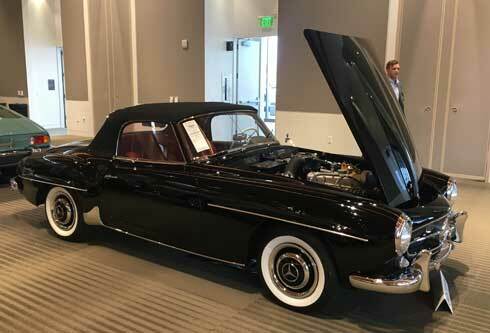 Rudi and Co. restored 190 SL offered at no reserve brought $257,600 at RM Sotheby’s. The 190 SL market is a tough place to be these days as well. There are a lot of cars to choose from, so you have to have something really nice to bring the money. One consignor was confident in what he had, a recent 190 SL restoration from Rudi and Co. offered without reserve at RM Sotheby’s pulled $257,600. I looked this car over carefully and found it very difficult to fault. There were lots of 560 SLs that didn’t sell… due to the largely unrealistic expectations of their consignors. With so many good, original examples out there, mileage is the determining factor of price. Prices drop quickly once the odometer hits 50,000 miles, anything approaching 75,000 or great is a driver, even if you’ve spent $10,000 on maintenance… it’s still a mid teens car. 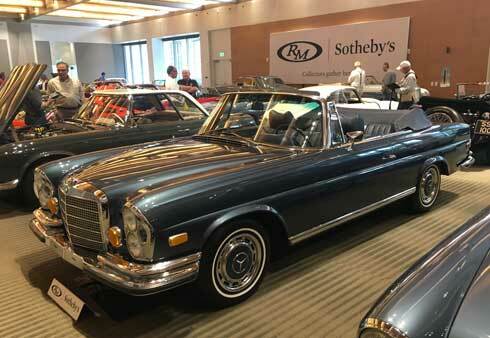 280 SE 3.5 cab at RM Sotheby’s. 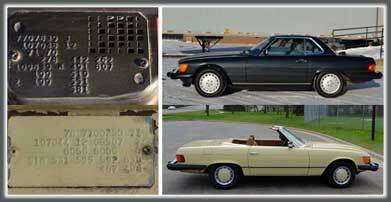 W111 Coupes and cabs were plentiful, most cars offered were of the 3.5 or 4.5 V8 variety. 280 SE 3.5 cabs have settled down in the market, but remain describable cars, they’re just not selling for what they did a few years ago, but they’re still worth multiples of what they were about 8 years ago. A client of mine bought a very nice 3.5 cab in 2010 for $40,000… another client bought a completely restored, two owner example in 2012 for $160,000. Today, you can’t touch cars with stories for less than the low $200,000s. Before auction week, I wrote up a story about one particular W111 coupe, a 220 SE that a friend purchased at Gooding and Company’s Pebble Beach sale back in 2013, in my ‘Gooding and Co. Pebble Beach Preview’ (click here to visit that article.. the car in question is the white 220 SE, first on the list). He bought that car for $79,750 back the, it sold at Gooding and Co. this year for just $48,400. A tough pill to swallow. Probably not so much a reflection of the market, but a matter of the right people not being in the room to produce a better sale number. Details, details. These U.S. spec license plate light housings are installed upside down. There is a small cap on the bottom, as these are installed, that you unscrew to change the bulb. You wont’ be able to change the bulb on these unless you remove the entire housing. What else was done incorrectly on this car? Consignors of newer Mercedes supercars, SLS and AMG GT’s were largely unimpressed with the bidding on their cars, most went home unsold. There are plenty of these cars available on the used car market,it just doesn’t make a whole lot of sense to buy one at auction, therefore, it doesn’t make much sense to consign one at an auction. $156,750, huge money for a 6.9, even with really low miles. 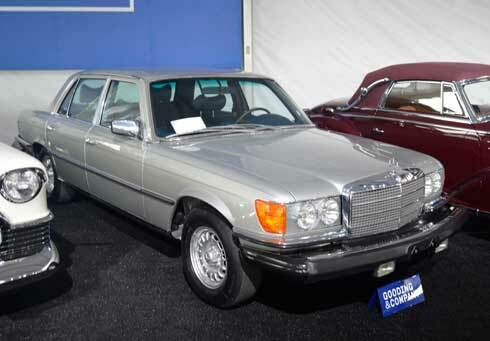 A sub 20k mile 450 SEL 6.9 sold for $156,750 at the Gooding and Company sale. This is huge money for a 6.9, even for one with such low miles. I was involved with the sale of a 6.9 a few years ago with about 19,000 miles, original paint, one owner, etc. etc. It eventually showed up at Gooding and Co.’s Scottsdale sale in 2015 and brought in the mid $70,000s. Don’t get too excited, all you 6.9 owners, your 100,000 mile example still isn’t more than about $15,000. Remember, numbers don’t tell the whole story, so refer to the auction catalogs for more details while referring to the list below. 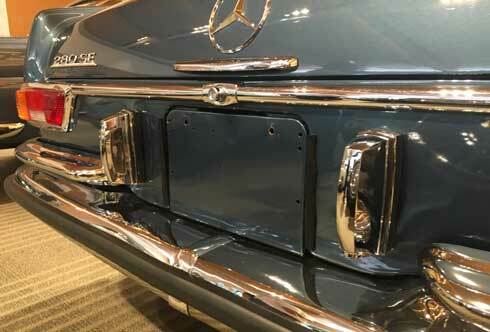 What surprised you at this year’s Monterey auctions? Make a comment below this post with your thoughts and impressions. B – Bonhams, G – Gooding & Co.